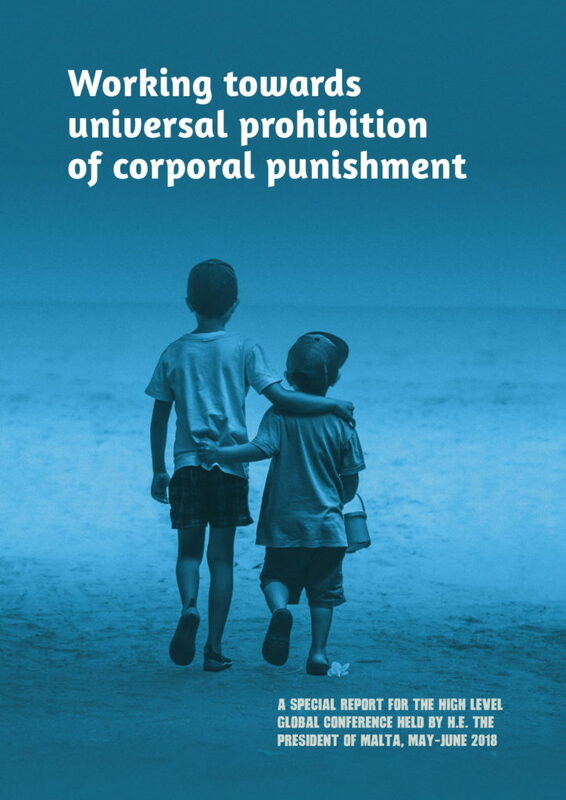 Prepared for the High Level Global Conference on the Universal Prohibition of Corporal Punishment organised under the patronage of Her Excellency Marie-Louise Coleiro Preca, President of Malta, May-June 2018, this special report outlines progress to date towards universal prohibition and elimination of all corporal punishment and how the new Sustainable Development Agenda 2030 provides an additional context to speed progress. Designed to support action, the report highlights 12 ways in which states can work collaboratively towards universal prohibition of violent punishment. It describes how to use opportunities at national level to achieve prohibition, and includes an article from The President's Foundation on the importance of involving children and young people in all initiatives to end violence against them. Where a total ban has been achieved, the report outlines what is required for states to move from prohibition in law to elimination of all violent punishment of children. A limited number of hard copies is available for advocacy purposes; email info@endcorporalpunishment.org.